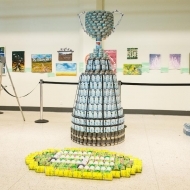 The Graham CANstructors are excited to continue the celebration of The Edmonton Eskimos’ Grey Cup victory this past fall. 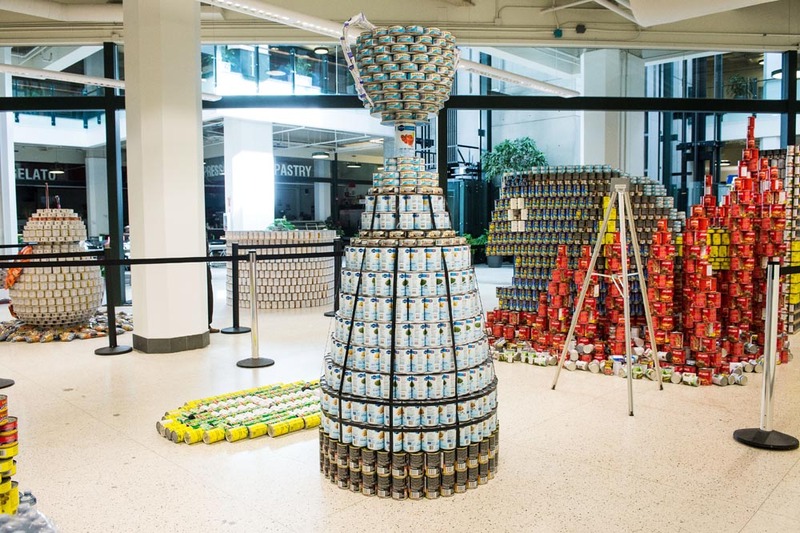 What could be better than bragging about our City’s football prowess while donating to the Edmonton and area food banks? 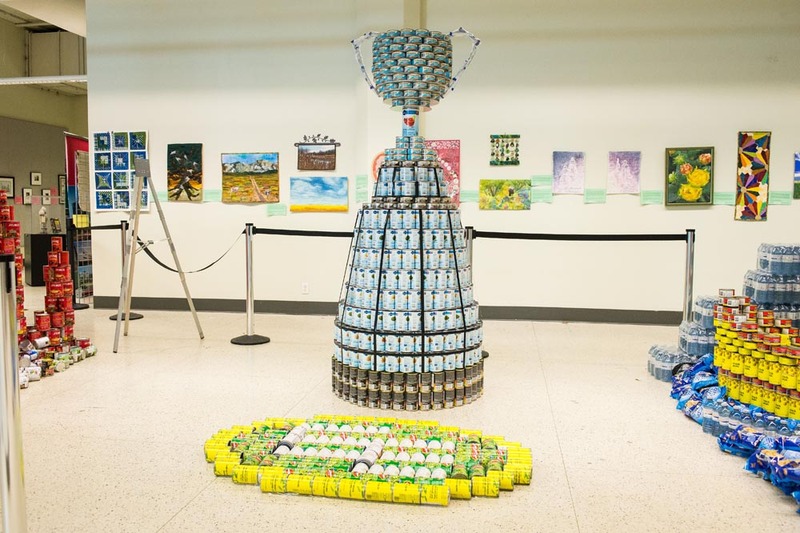 Our structure features a large scale model of the Grey Cup complete with an Edmonton Eskimos logo constructed from non-perishable canned goods. 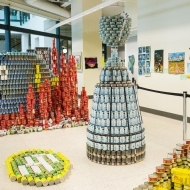 Go Esks Go! 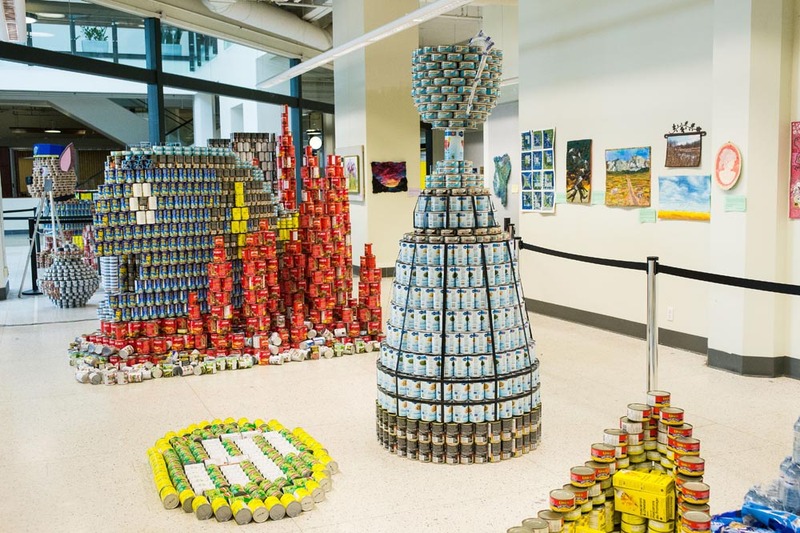 Special Thanks to our other team members: Wesley Price, Ryan Bellina. Special Thanks to (supporters): Patty Vickery, Jas Braich-Davidson, Andrew Sneddon, Brodie Mayotte, and the rest of the Graham staff.